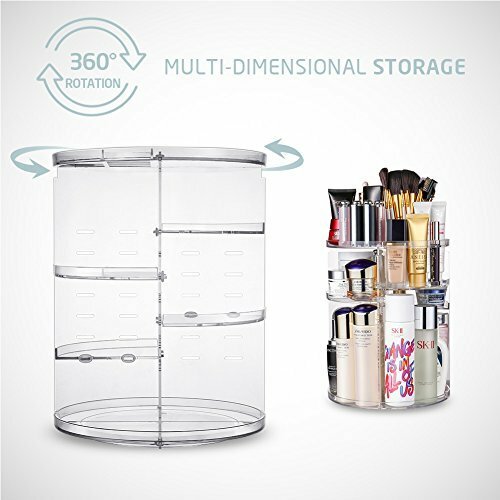 The Jerrybox 360° Rotation Makeup Organizer is a great design for women. 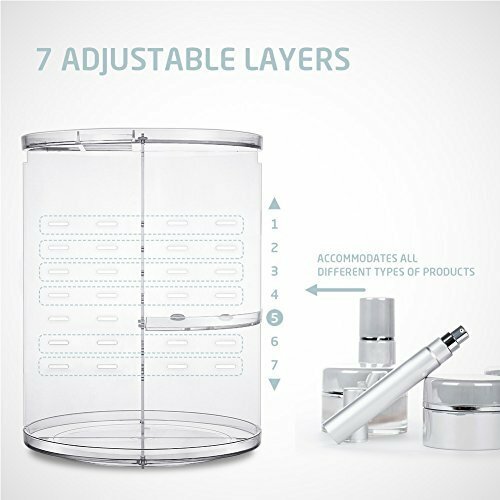 It perfectly organizes and stores your cosmetics, including lipsticks, lip gels, nail polish, makeup brushes, cheek color, eyebrow pencils, foundation sticks, beauty gadgets, necklaces, rings and more. 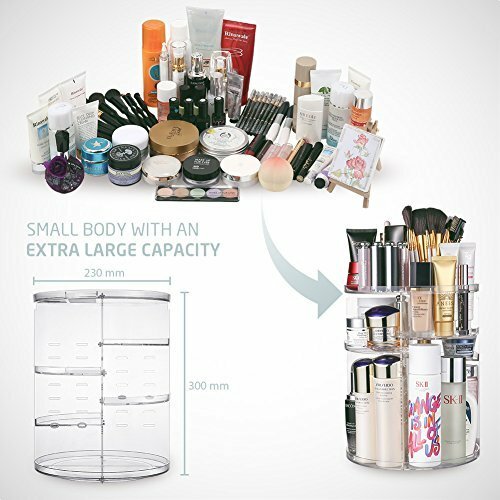 With its steady 360° rotating base, you can instantly access your cosmetics and get whatever you need by only rotating the organizer. 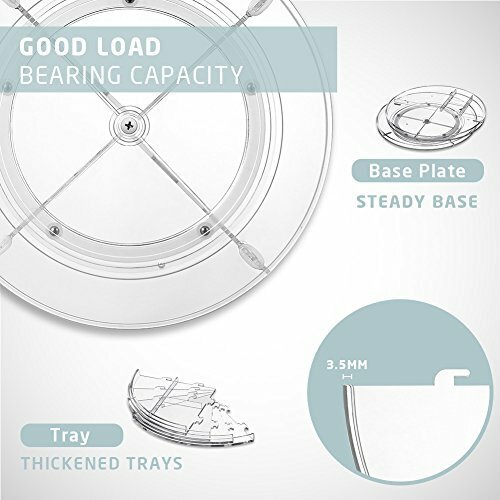 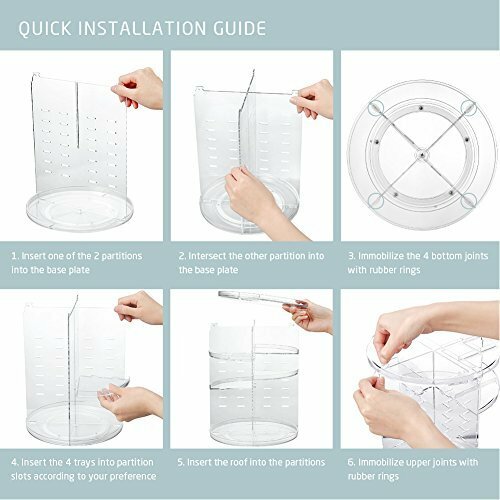 It’s convenient to assemble the organizer by simply inserting the 4 trays into partition slots, according to the height of your cosmetics and accessories. 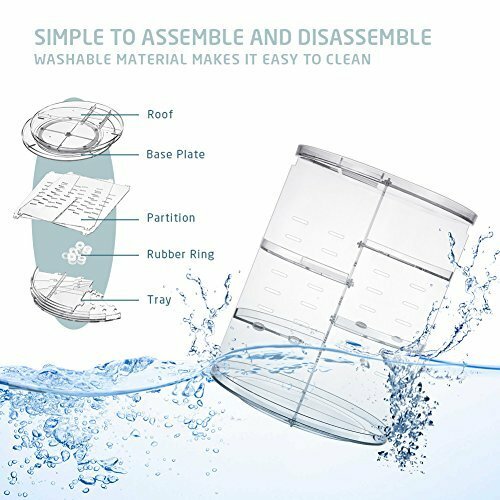 This unique product accommodates all of your cosmetics and accessories in a single organizer that takes up very little space. 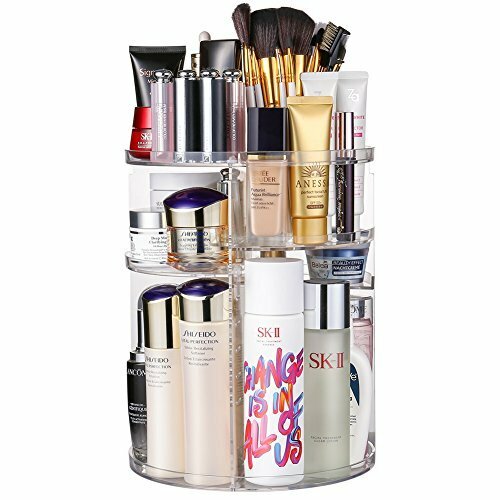 The organizer saves you counter space, ensuring you won’t be troubled by messy cosmetics scattered on your vanity table anymore!